The utility allows you to view and edit the registry, preview the imported reg-files, including those from the Windows Explorer, and more. Registry search feature can thoroughly search the registry to find all the keys related to the application. The program also supports the management configuration files of various types. The program has a simple and easy to use interface with multilingual support, including support for Russian language. Registry editor for viewing and editing of the registry to perform various operations c keys and values ​​of the registry, export and import values ​​of keys, etc. 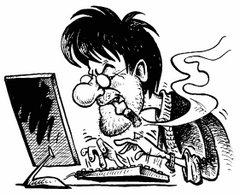 Cleaner Registry to search for unnecessary registry entries, as well as to find and fix problems in the registry. Registry search feature can find all keys related to a certain application and delete them if necessary. This is useful, for example, in the case where an application does not uninstall the program, and after removing it «manually» in the registry are unnecessary entries, which can lead to abnormal functioning of other applications. 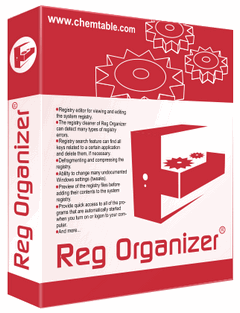 At the same time, Reg Organizer provides the deepest search and can often find even those keys associated with the application, which are not found in other similar programs. Ability to change many of the «fine tuning» Windows (tweaks). In particular, you can speed up your system, ordering system to use more cache memory size or by unloading unused libraries from memory, etc. You can get information about any registry key and monitor changes in it. Preview of the registry files (*. Reg) before adding their contents, including directly from Windows Explorer. When you view the imported reg-file contents as a tree structure that allows to visualize all keys that will be imported into the registry. The search and replace in the registry is a handy tool for finding (and, if necessary, change) key or registry keys that meet the search criteria. Built-in software uninstaller. It can make «snapshots» of the system before and after installation, then you can completely «roll back» system changes, as if the application has not been established. Tools «Cleaning discs» allows automatic cleaning of your hard drive from various junk files, as well as search for and fix invalid shortcuts. Manage configuration files. With Reg Organizer lets you open and edit (add, edit, delete keys / sections) INI-files of various programs. Importing a program of new types of configuration files. With the help of the import you can describe a new type of configuration file, and then upload the files of this type and to work with them as a known file format that allows you to apply operations to them edit and change. Copy both files (updaterdll.dll, regkey.ini) in the program folder. Run a program, this register it! same key. Picks up external settings.reg configuration file, if it is next to the installer (for standard version). Size: 6,01 / 6,60 / 5,33 / 5,48 Mb. Reg Organizer 7.40 Final Fix 2 — исправлена проблема с долгой перезагрузкой системы (Windows 10). Лекарство брать в основном релизе.